How deep is your Narnia knowledge? 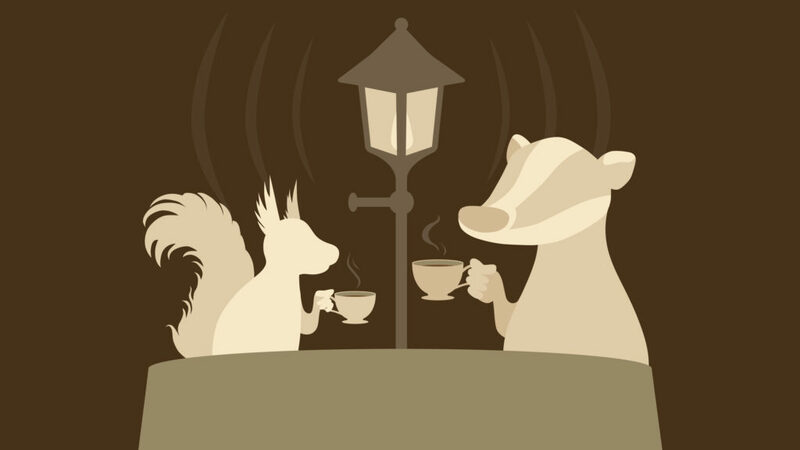 Can you stump the hosts of Talking Beasts: The Narnia Podcast? Submit Narnia trivia questions for our Stump a NarniaWebber competition between Glumpuddle, Rilian, and Dot. The selected trivia questions will be posed to the contestants in a special game show style episode! Questions must be submitted by February 15. The video-episode will be posted on March 17. This sounds awesome! Is it by any chance a live stream? Not this time, unfortunately. The video will be posted on March 17. Hey, that’s on my birthday!!! I like the Chronicles of Narnia movies!! Well um…Ok. Thanks for letting us know. It’s tricky trying to think of stuff that these guys might not know… I may have to do some rereading…. Do you think that the Netflix series of Narnia is going to be the best or the worst adaptation of C.S. Lewis’s epic master piece? Cause me myself thinks that letting Netflix do it is going to disappoint a lot of fans. Cause of what type of movies Netflix makes. I don’t see why the best or the worst adaptations should be the only options. It’s totally possible that they might be good but not the best or the bad but not the worst. I was at first horrified at the idea of Netflix doing these, but I think with Douglas Gresham in charge, we have some hope. There’s a huge discussion over the possibilities of the new series (check the forums), but really it’s too early to completely tell. I think it was Shakespeare who said something like, " We know not the end of a thing until the end itself, and then the end is known." A profound thought, Shakespeare. Sorry if I butchered the quote. So like, let’s just wait and see! And while we wait, we can form our expectations for the series. I’m cautiously optimistic. I know I know, most Narniawebbers (including myself) found "Anne with an E" somewhere between distasteful to unwatchable. However, Anne of Green Gables was public domain which in my opinion makes any adaptation suspect. Not always, after all Sherlock was amazing. On the other hand, I think Netflix has done well with its licensed works (at least as far as the one’s I’m familiar with i.e. A Series of Unfortunate Events and the Marvel shows). I’ll be surprised if their LWW adaption is better than Walden/Disney’s, but I think they could easily beat competitors with the rest of the books. I’m kind of hoping that for Narnia, Netflix will cast some unexpected actors/actresses in the roles. For Puddleglum, I’d choose that actor from A Series of Unfortunate of Events, who plays Larry-Your-Waiter. I know he’s american and i know he acts depressed, but he’s soooooooooooo unexpectedly funny and endearing. And brave… to the point where in his final episode (spoiler alert) i was like, "Oh come on, Netflix, why do THAT to him?!" It’s a depressingly funny show. And he would work great in a major supporting role in A Silver Chair adaptation. I think Narnia-on-Netflix’s success will depend on who is cast in the roles, not just the direction, For Netflix’s A Series of Unfortunate Events, the cast ranges from pretty good to morbidly brilliant, and so the show succeeds (for fans at least) despite other shortcomings. For example: It would be cool if the filmmakers cast the Pevensies kids differently from other adaptations. Because Lion, Witch and Wardrobe is an allegory of the Crucifixion and Resurrection of Christ (and the Salvation of the Jewish people), and it takes place during the Nazi’s persecution of Jews in the 40’s, the filmmakers could steer away from blonde, pale, blue-eyed, "Aryan" race choices, and go for a more Eastern-Europe look for the Pevensies (they would still be English of course). When the Pevensie are being evacuated to the countryside or are quietly slipping through the forests in Narnia, viewers would know that, if placed in Eastern/Germanic Europe, their lives would be in grave danger from the Nazis, who consider non "Aryan" Europian children expendable. Not so for Aslan OR for Narnia! Where do all the pools of water lead to in the Woods Between the Worlds? And go….